Candy Town iPhone Game Review. Imagine a place where, instead of getting cavities for eating too many cupcakes, you get rewards. And no matter how many cupcakes you eat, they keep falling from the sky. Sounds unbelievable? Well, believe it. Or, better yet, check it out for yourself, with a single download of Candy Town from the AppStore. Candy Town is a fun game, where you have to match at least three cupcakes of the same color. But don't imagine that they just stand still, waiting for you to slide your finger from one matching cupcake to another. One second, you have five cupcakes sitting one next to another, and before you can manage to slide your finger through all of them, you see that they are no longer in the same position. So you have to move fast and try to match as many identical cupcakes as you can. 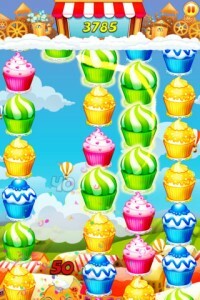 The more cupcakes you match, the more points you get, and the more addictive the game becomes. The basic twist in this match-three game is that the items you need to match, the candy cupcakes, are placed on three or more columns that are sliding up and down independently. The cupcakes will never be in the same spot again, so better move fast, and yeah, not be colorblind. The more columns there are, the harder it gets. 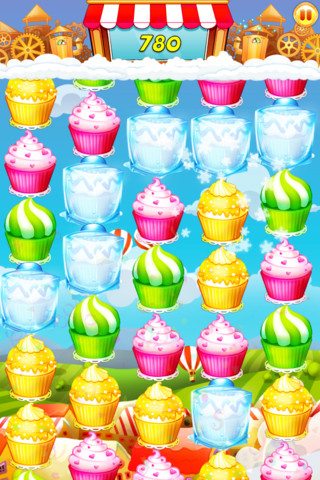 Candy Town has three modes that put your cupcake matching skills to the test. 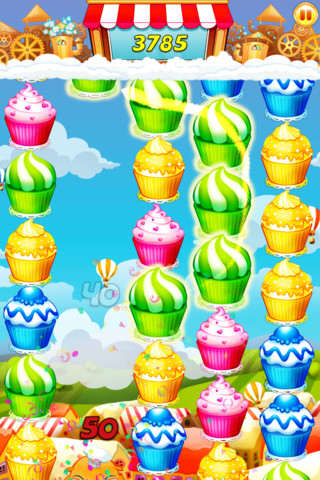 If you're looking for a challenge, you can try Story mode, where you have to match as many cupcakes as needed to earn a certain number of points to reach the next level. With every level cleared, the game gets even more challenging. 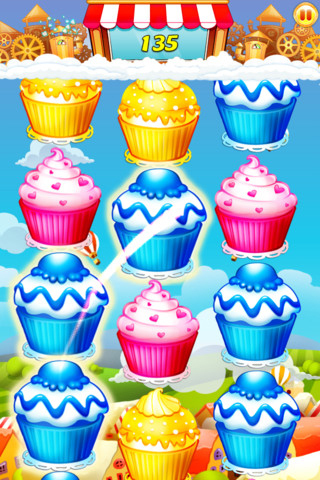 But as you clear the levels, you get power boosters, like birthday cupcakes that help you get more points when you match them with other cupcakes of the same color. 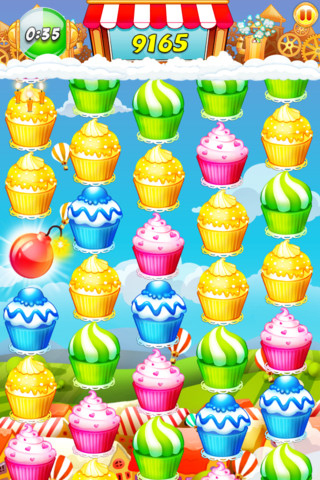 However, if you're looking for something to play during a coffee break, then you can choose Flash mode, and see how many cupcakes you can match in less than two minutes. The great part is that you can enjoy the power boosters without having to clear any levels. But if you just want to play the game, without the pressure of the clock ticking, Candy Town also provides an Endless Mode. A strong point in Candy Town are the graphics. The high level of detail and the playful colors make the game that much more appealing. If you were to judge the book by its cover, then you would definitely think that Candy Town is a kids’ game. However, even if the graphics and the Endless mode make Candy Town look like a children's game, the Story mode is guaranteed to challenge even the most seasoned gamers. Long story short, Candy Town is the type of game that we played hundreds of times before. But there's just something about these games, that make us want to try as many versions as we can find. And honestly, judging by both the cover, and the modes that this game provides, Candy Town is definitely one of the versions that you will enjoy playing. Candy Town comes from the developers of Astro Jam, which we reviewed some months ago. With Astro Jam, as with Candy Town, it’s clear that the team behind these games put a lot of effort into the game play and especially the graphics. And it’s no wonder that Chillingo has picked up on the talent and Candy Town comes released in collaboration with them. What do you think of Candy Town ? Scroll down for our comment section and let us know!